Elisabeth Nelson, Coldwell Banker Real Estate - Get Involved. Make Friends. Enjoy Motherhood. Gold Level Sponsor of MOD Moms Monthly Working Moms Group. 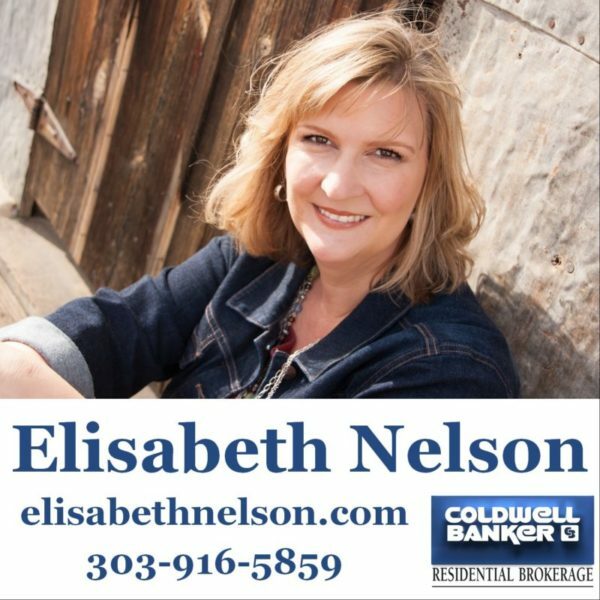 Serving Superior, Louisville and the North Denver and Boulder metro areas, Elisabeth has experience helping clients buy and sell condos and townhouses from $157,000 to luxury homes in the millions and everything in-between. Her incredible marketing has brought top dollar to her sellers. Using her negotiation and organizational skills, her primary focus is to ensure that your interests are effectively and successfully represented every step of the way. She will take the time to really listen to you and understand your needs. Contact Elisabeth today and take your first step towards a new tomorrow!